My closet use to smell slightly musty. It didn’t smell terrible but it didn’t smell great either! I thought and thought about what natural product I could make so that it would smell nice in there. I came up with a really easy fix! This DIY Closet Sachet is so easy to make (and effective I might add) that you will be running to the store to grab supplies quickly so that you can make closet drawer sachets for everywhere that you store clothing or linens. These would even make great little gifts for friends and family. 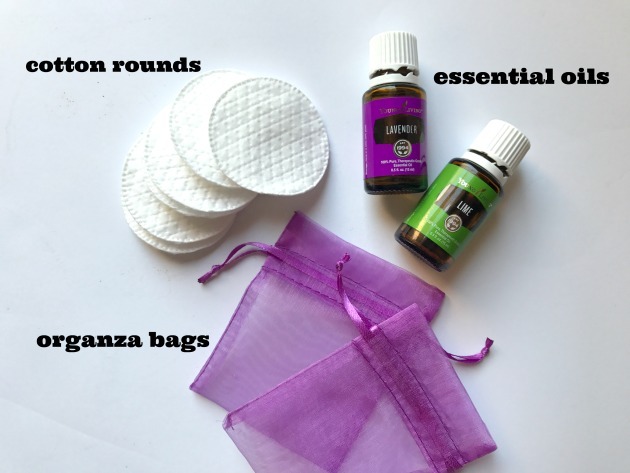 I placed 2 drops of Lavender on one cotton round and 2 drops of Lime on another cotton round. Depending on the size of your closet, you can add a few drops more. I chose lavender essential oil because it is a natural bug repellent and so great for keeping out moths or spiders. Lime essential oil is also thought to be effective fore repelling bugs, particularly spiders. Once you have added the oils to your cotton rounds, grab an organza bag and place your cotton rounds in. 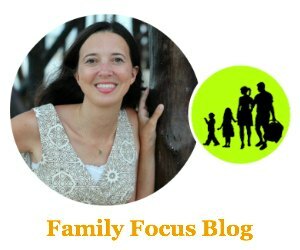 Cinch it up and hang on a hanger or place on a closet shelf! That’s it! Easy right? These would be great little additions to Easter baskets (for tweens/teens) since Easter is around the corner! Do you think you will give these DIY closet drawer sachets a try? They are so easy to assemble and the scent lasts for quite a while! 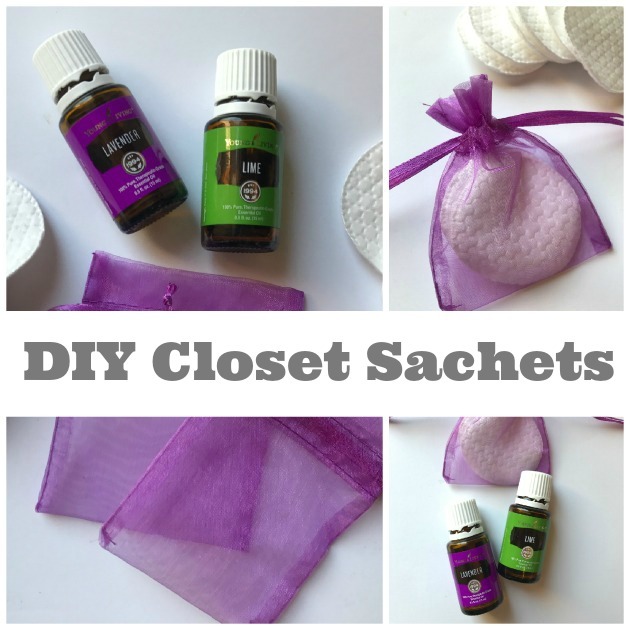 Keep your closet smelling lovely and fresh all year long with these DIY Essential Oil Sachets.